A natural polysaccharide extracted from a fungal source of chitin (Aspergillus niger). NO BRETT INSIDE has been shown to reduce Brettanomyces populations from 3 x 105 cells/mL to zero after 10 days of treatment. NO BRETT INSIDE has been approved for continual use under 27 CFR 24.250. As a result of updated TTB regulations, customers who use it don’t have to file an application. Malolactic fermentation nutrients recently formulated to address specific difficult MLF conditions in wines with peptide deficiencies or high polyphenol levels. OPTI’ML Blanc is recommended for Chardonnay and ML RED BOOST is suggested for Zinfandel, Syrah, Malbec and Merlot. 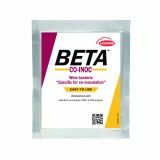 BETA CO-INOC selected by Lallemand is the malolactic bacteria known for synergy and reliable performance when used for co-inoculation. Co-inoculation, when the juice/must is inoculated with malolactic bacteria 24 to 48 hours after yeast inoculation, is an effective winemaking option with economic advantages. After several years of research on malolactic bacteria and the timing of inoculations, co-inoculation is now recognized as a simple and safe practice for the management of malolactic fermentation (MLF) for the optimization of wine quality. Control sulfur compound production during fermentation. The new wine yeast, LALVIN ICV OKAY®, received a Citation Award in the category of Innovation from SITEVI 2013. The innovation is based on successive back-crossing between an excellent fermenting wine yeast and a yeast with very low production of sulfur compounds such as H2S. The resulting LALVIN ICV OKAY ® yeast combines reliable fermentation performance and very low production of SO2, H2S and acetaldehyde. Metschnikowia pulcherrima yeast selected by the Universidad de Santiago de Chile for its specific capacity to release arabinofuranosidase activity. 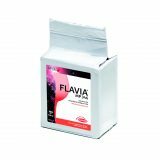 When used in sequential inoculation with a compatible selected Saccharomyces cerevisiae yeast strain, FLAVIA™ will impact the production of such varietal aromas as terpenes and volatile thiols in Riesling and Sauvignon blanc.